Well the sign did say that we should be away by 10am! The museum being closed today we thought it wouldn’t matter, but as we were having our leisurely breakfast a boat reversed from the permanent moorings, winded just past us , winded again and pulled in on the mooring in front of us. Mick popped out to apologise for being in the way, the chaps were very pleasant about it but we quickly made ready and pushed off. The rowers were out in force again. We wondered if they’d lend us their pontoon so that I could do the gunnels and touch up the bumps and scrapes above the water line on our blacking. But there was nowhere to tie up to, so despite it’s low height it would not have been ideal. At Knostrop Fall Lock I had chance to have a look around as the chamber emptied. 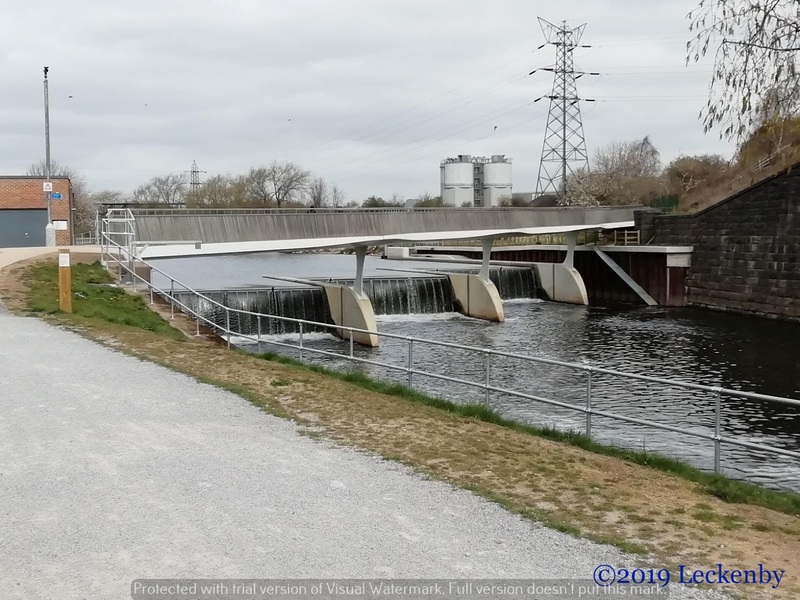 Back in October 2016 there were lot of works going on at the weir alongside the lock. The floods on the Aire the previous Boxing Day had caused quite a lot of damage, so the weir was being rebuilt. Today it looks very swish, a new weir and a wavy bridge over the top. 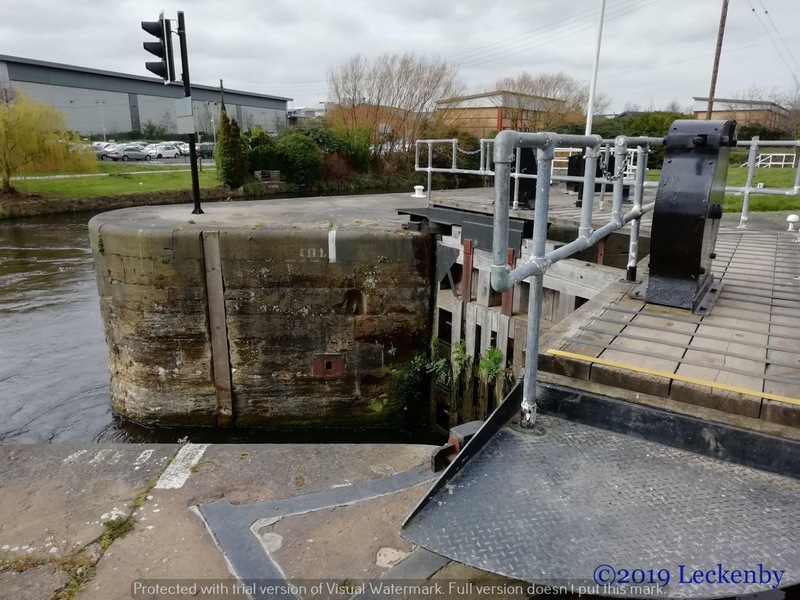 Does anyone know why there are cill markers below the bottom gates at Knosptrop Fall Lock? 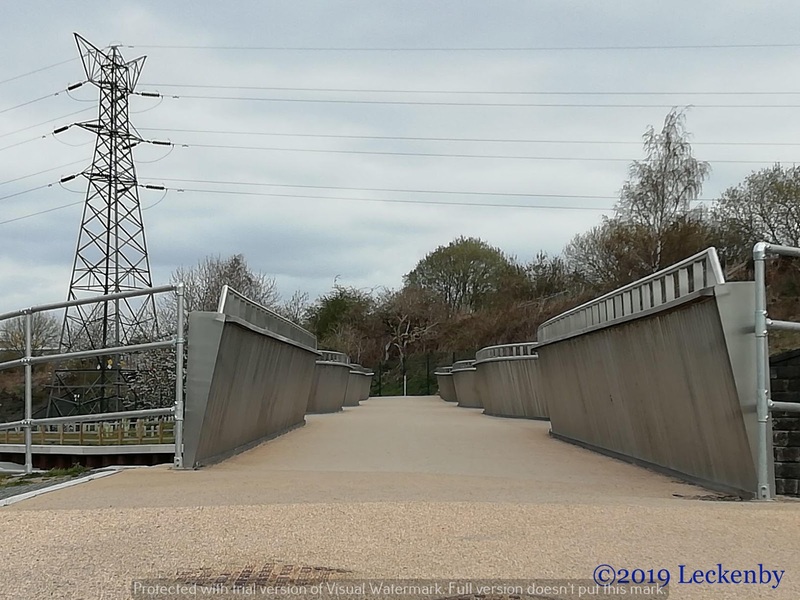 The island that used to separate the cut from the river is now all gone which makes Knostrop Flood lock redundant (it’s now been removed), this was to increase the volume of flood water that could be held here. 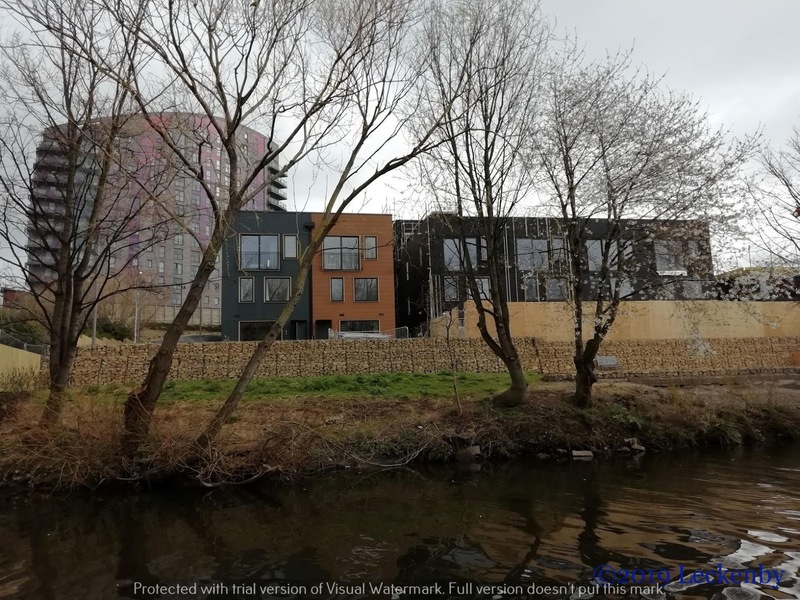 Further upstream closer to the city centre most walls along the river bank have been increased in height helping to protect properties. 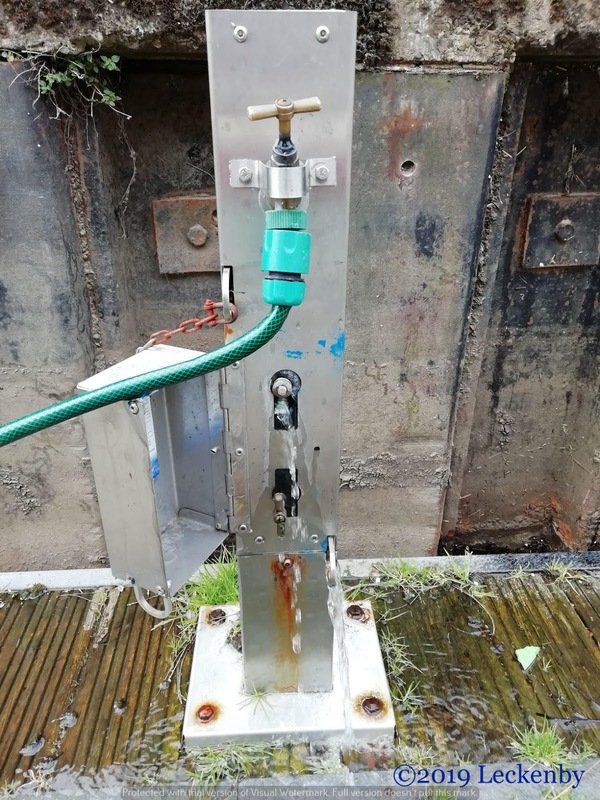 We pulled in on the service pontoon to top up with water, get rid of rubbish and empty the yellow water whilst near an elsan. There was only space for a short boat to moor behind two others so we wouldn’t be able to stay here. The tap had good pressure, just a shame not much of it made it into our hose, so filling up the tank took some time. 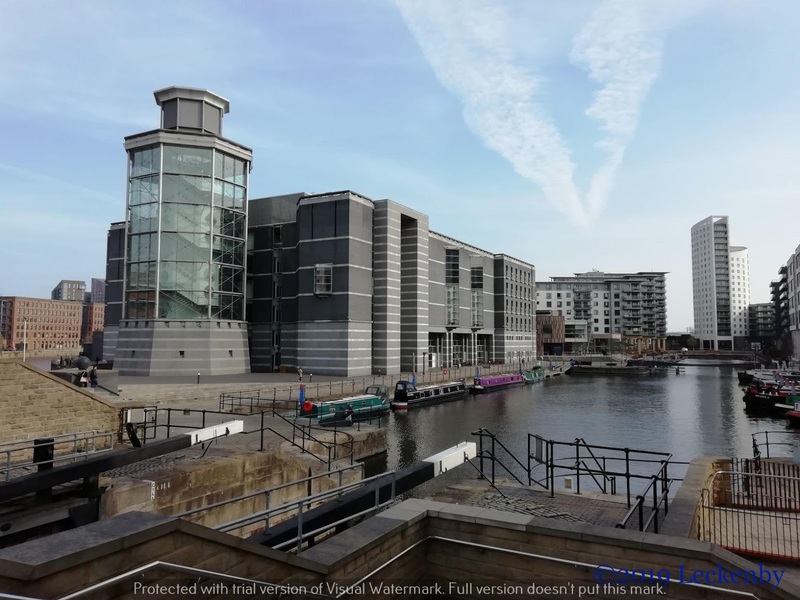 Being not far from the Royal Armouries I walked up to see if there would be any space on the visitor pontoon there, I didn’t hold out much hope. But as soon as I could see past the buildings I was relieved that there was space for us and another boat too. A quick phone call to Mick with the news and I started to set Leeds Lock. 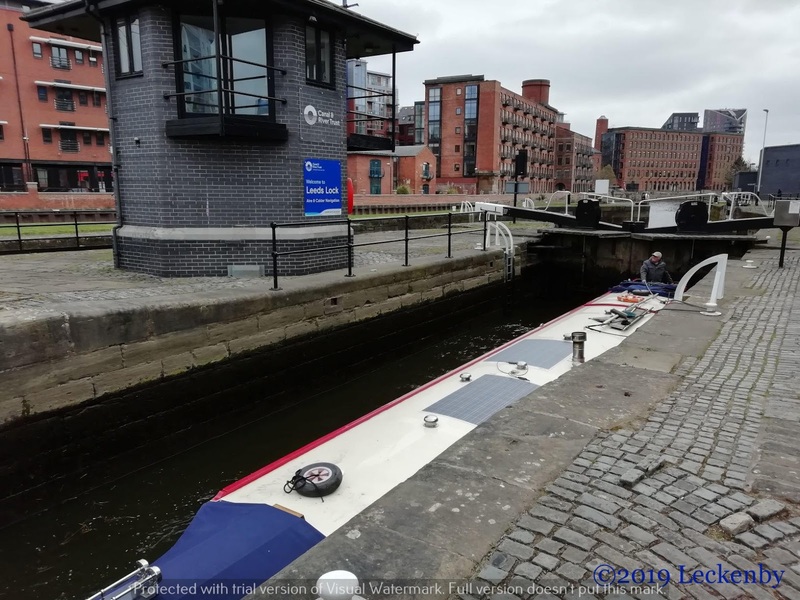 Leeds Lock can hold quite big boats, but if you are a fairly standard length you only need to use the top two sets of gates. These create a chamber that is very short compared to the locks we’ve been used to over the last few weeks. I hoped Mick remembered this as he brought Oleanna upstream. Still with a few feet to spare I closed the gates behind her. We knew we’d fit as Lillian came up here twice and she was a foot longer. 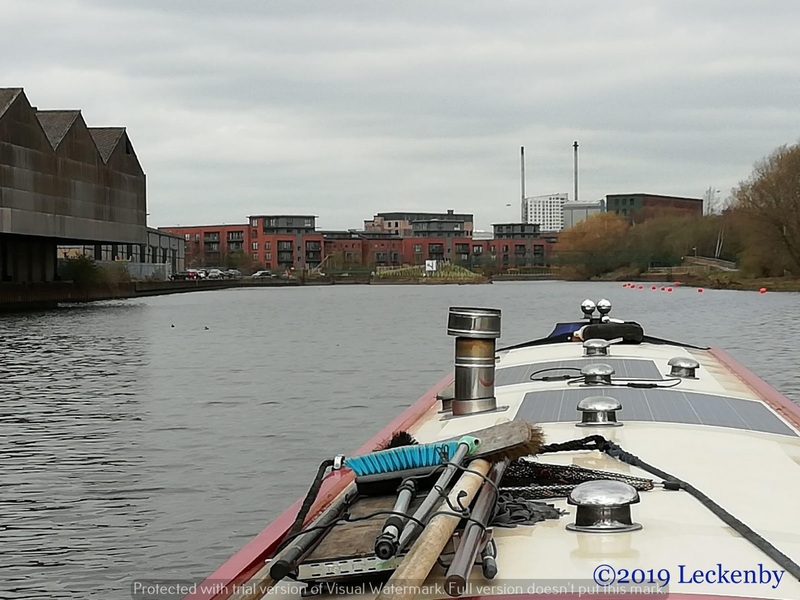 The sharp bend round into the dock takes a bit of doing, but we were soon moored up leaving plenty of space for another boat which turned out to be NB Rebellion a couple of hours later (they seem to have been following us since Ferrybridge). Here on the pontoon there is water and electric posts. 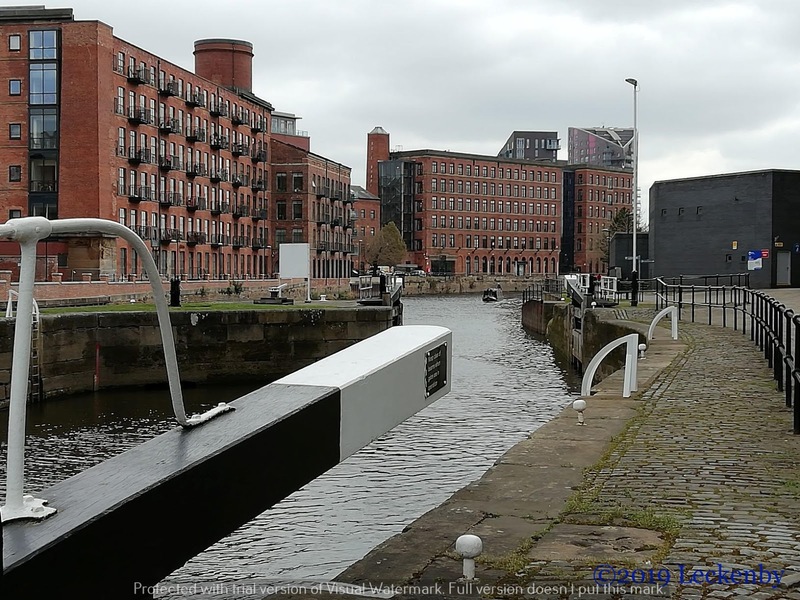 To get power you need to purchase cards from the C&RT office which is across the footbridge by the lock. The cards are the type that deposit the credit onto the post, so you can’t take it with you when you leave, it’s left for the next person. We were fortunate as there was £1.90 on a post. The washing machine was put on straight away. I wanted to make use of being near to art shops for model making materials. I don’t as yet know what panto will look like, but I do know that I’ll be needing certain things no matter. 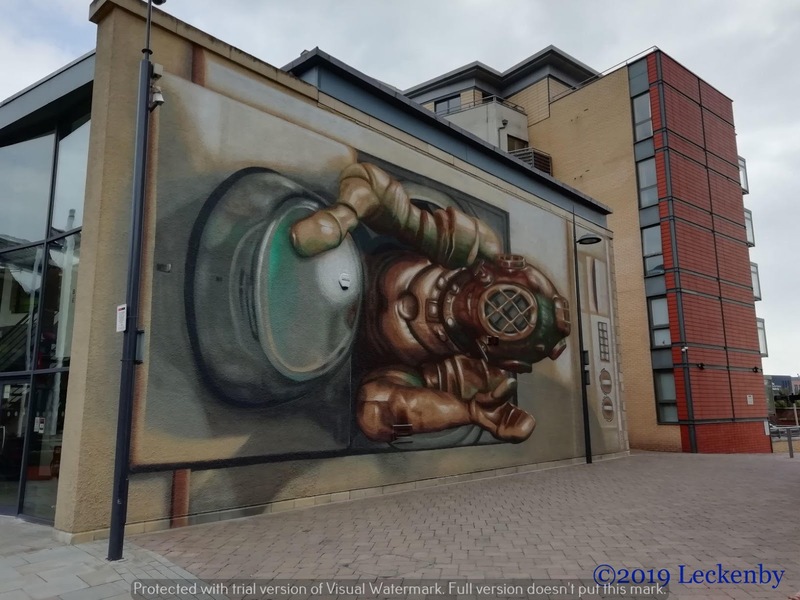 A walk along the river bank passing new developments, a local Sainsburys various bars, a diver waving from inside a washing machine! 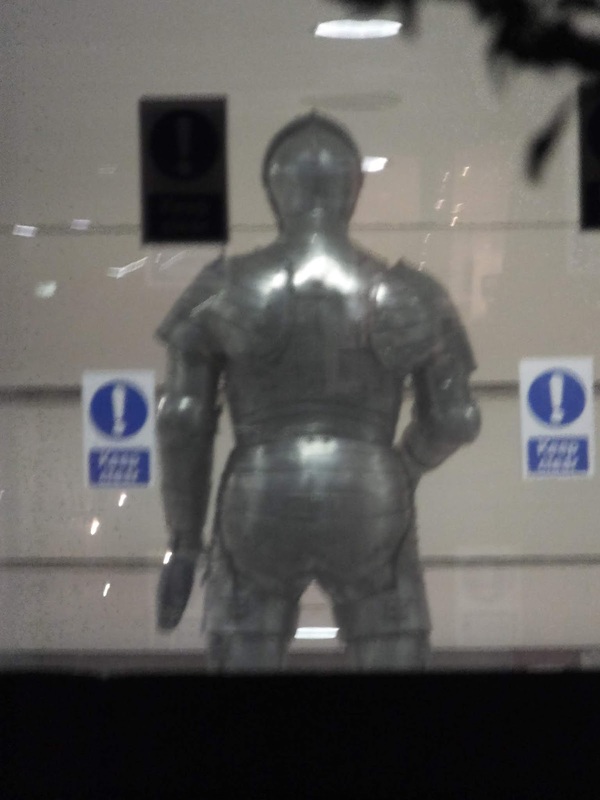 Leeds has everything, including Waxis. 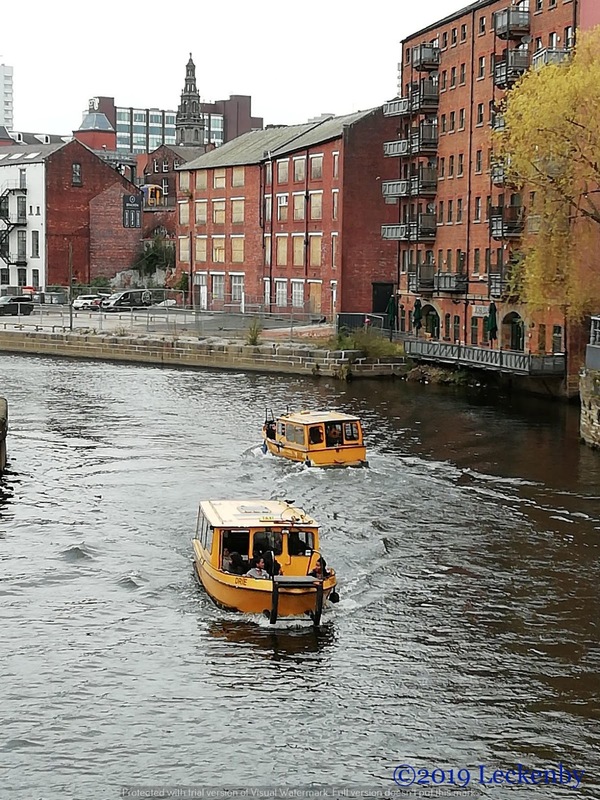 There are two water taxis that ferry people back and forth from the dock to River Lock, the first lock on the Leeds Liverpool Canal. This service is free and very well used. 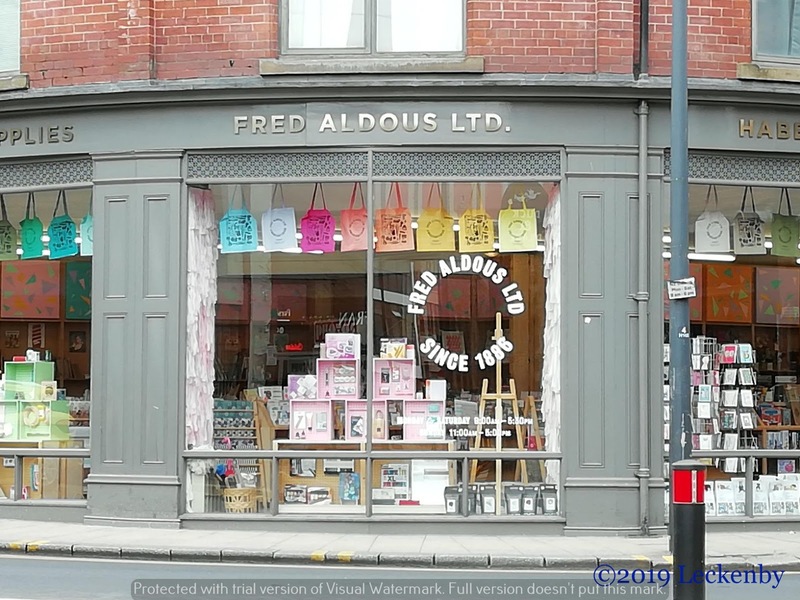 Fred Aldous is a short walk once over the river, here I managed to buy black foam board to make a model box of the theatre and a couple of sheets of mount board for my set model. They didn’t have the sketch book I wanted and their tracing paper was far far too expensive, but at least I’d done my bit for an independent shop. A1 card isn’t what you want to carry around for long so I dropped it off before heading in the other direction to Hobbycraft. Here they had all but some model ‘I’ section, but I can make my own. I’m all ready now to start designing, good job as I’ve got a meeting in London this week with John the director. With the temperatures now heading downwards, our coal stocks are quite low. You don’t want to be carrying bags and bags around all summer, so we had started to let our stocks run down,maybe as it turns out a bit too soon! We can run the central heating instead, so Mick bought some electricity from the C&RT office to help keep us warm, whilst conserving coal and gas supplies. 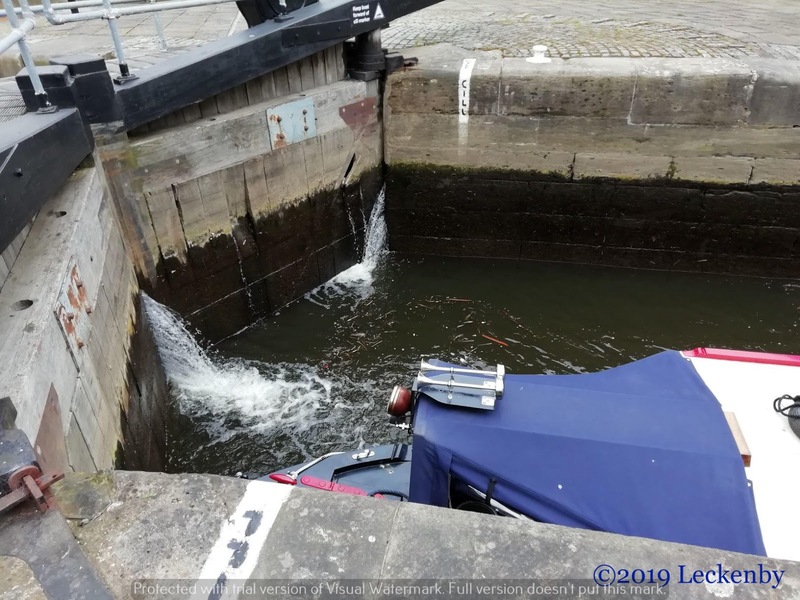 2 locks, 1 none existent flood lock, 1.87 miles, 1 sharp left, 1 new weir, £1.90, £2 in reserve, 2 sheets foam board, 2 sheets mount (1 black 1 white), 1 sketch book, 30 sheets tracing, 20 florist wires, 3 wood strips, 1 very very bored cat, 1 plan coming together, 1 last feed, 0 knights having a pee. From today our new blog is going live. It may take a few days for all of the internet to find it, so posts will be on both blogger and wordpress for a few days. 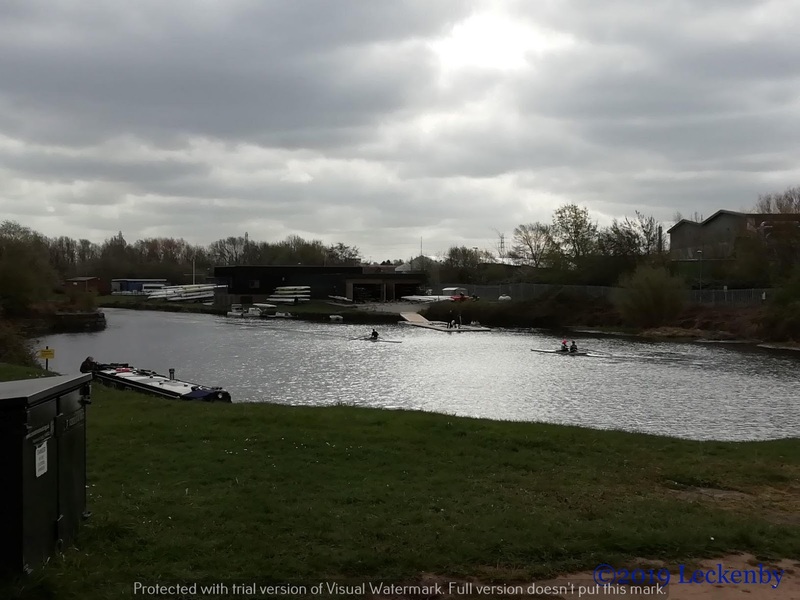 This entry was posted in Uncategorized on 3rd Apr 2019 by pipandmick.